Microsoft is doing the hard sell on Windows 8 features and in particular they have made a valiant effort to push past some of the bad press (and consumer grumbling) about Metro UI and the way many of the apps are locked down. We have talked a little about this and even touched on it during some of our gaming coverage. Although you can launch “desktop” applications from the Start Screen (The Metro UI interface) you are not actually running them there. The only apps that will run in Metro UI Mode are ones that are downloaded from the Microsoft Store. This limits the functionality of the OS in many ways. Sure you can get some applications to interact with each other, but even then there are limitations. To try and find out what is really going on with Metro UI and also many of the Start Screen Apps we decided to try out Internet Explorer 10 for Metro and for the desktop. We did this on our Asus EEE Slate EP121 as well as on the desktop system we ran our gaming tests on. We were a little disappointed, but also found that some of the features that are present are nice. They need work to make them complete, but they are nice. Our first dive into Internet Explorer 10 was on the same system we tested gaming on. Here we found out quickly that most of the plug-ins that we take for granted (and that we like) will not work at all under IE 10 for Metro. On the surface this is to help reduce the likely hood of a security hole, but all it really does is limit the way the browser feels. Given the option we honestly would rather open up desktop mode and use IE there. Full screen browsing on the desktop it not all that great anyway, so we find that the MetroUI is not that mush use on a desktop. The snap feature was pretty cool though we were not able to get the mail application to connect to our exchange server. This is apparently a known issue and has something to do with the way Microsoft is handling security certificates. Still it would be nice to see this work, but you can always install Office to get past this from what we are hearing Office version 15 (should be office 2013) will have portions of it that are native to the Metro UI so that will help out. For now there is always Office 2010 to take care of your productivity needs. You can check out the short video we have of using IE 10 on a desktop system (with other items added in). Moving from the desktop to the tablet we had a few more issues that popped up. Again we see that we cannot add an exchange account to the mail app even though Outlook 2010, IE10 (the desktop version) and other applications are able to reach it without any errors. It is only IE for Metro and the Mail Application that will not connect. Beyond that there is another issue that we seriously hope Microsoft reconsiders. We found that on the EP121 we cannot use the snap feature. This is because Microsoft has chosen to disable it on resolutions below 1366x768. The EP121 only has a resolution of 1280x800; this is really a terrible idea as now on the tablet we are even less likely to use the UI that Microsoft wants to push. Before there was a chance that I might run two apps snapped in place, but now I will end up sitting on the desktop so I can have multiple apps running at once. For many people the ability to multitask (not like on an ARM tablet, but really multitask) is a vital feature for their systems. Microsoft wants to be a competitor in the tablet arena, but it looks like they are going to go down the same path that both Apple and Android (Google) have. This is a path that many do not like, as it has some serious limitations. As we had the mail app setup with a Hotmail account we were able to test the inter app sharing feature (after we turned it on) this was sort of nice, but our happiness with it was limited by the fact that we cannot get it to work with Exchange. Both the desktop and the tablet versions of IE10 for Metro lacked Flash support. This is something that we think is also going to backfire on Microsoft. After all Flash was a big deal for people to get with Android and I know of more than a few people that chose one phone over another due to flash support. Still it is the overall lack of third-party plug-ins that is the most concerning. We have a feeling that IE10 for Metro will not be that big of a hit regardless of the snap, charm and other features that Microsoft is trying to push right now. 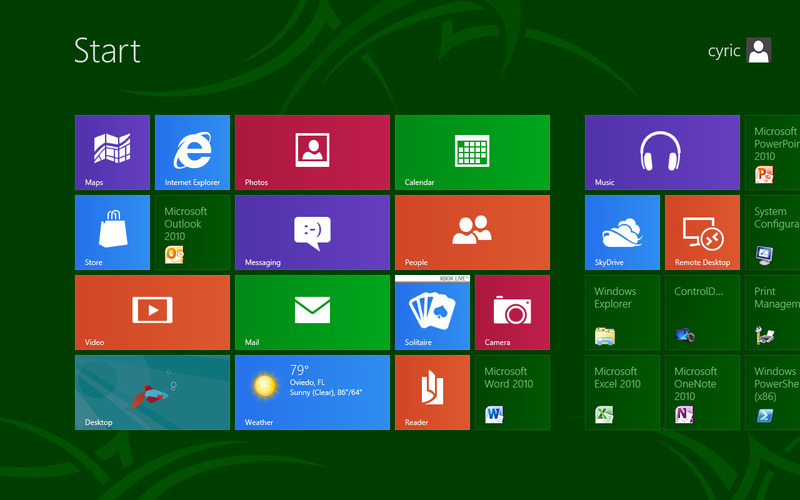 We will continue to tinker with Windows 8 on both our EEE Slate EP 121 and also on different desktop systems. 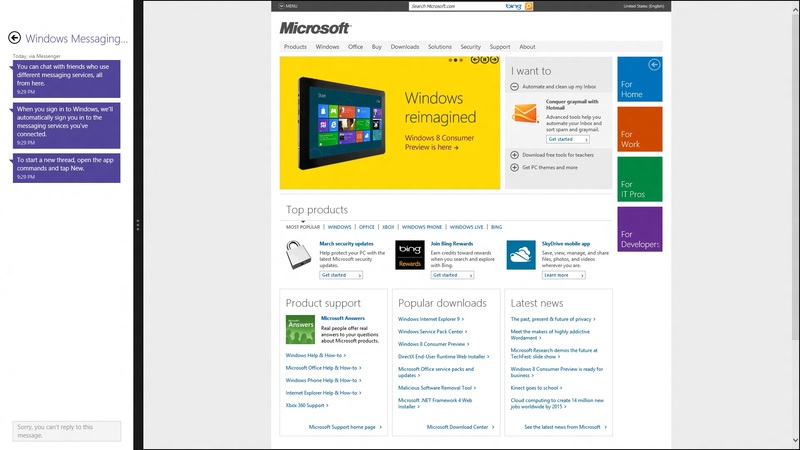 For now we can see the direction that Microsoft it taking with Windows 8. We are not sure that we like what it seems they are doing here. After all if they take a look back in history they might remember how people did not like the changes to the start menu in Windows XP as well as how long it took people to begin to get used to the Aero desktop, now they are making an even more radical change in the way Windows works and despite their assurances that it will be a similar user experience across multiple platforms you can quickly see that it is not. There are more than a few differences in how you use Windows 8 on a touch screen Vs a standard desktop. The two might look similar, but the user experience is not. You can see our slightly longer video of our time with IE 10 for both Metro and the Desktop on our EEE Slate EP 121 below. We will have more for you about the Windows 8 CPP release soon including user experience and some new features.